The Sayville UMC participates in a number of outreach programs throughout the year. The church is best known for the annual Clamfest, which takes place during Sayville’s Summerfest on the first Saturday in August. During this event, the church prepares and sells clams, clam fritters, clam pies, clam chowder, lobster bakes, baked goods and more, then gives all of the proceeds away to local and global missions. The event is a shining example of what God’s children can do when they team up for a good cause. Mission Trips: Periodically, the church participates in mission trips to disaster-afflicted areas; more regularly, the youth group donates a week of its time to participate in YouthWorks, a Christian-based outreach program with mission locations throughout the nation (as well as a few international locations). 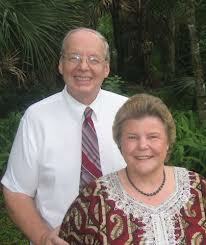 We are active supporters of the mission work led by Lowell and Claudia Wertz in Tanzania. Joy in the Harvest ministers to thousands of needy people on a daily basis. For further information on the Tanzania mission, please contact Al Croce or the church office. We staff the local dinner outreach every other Thursday at the Sayville UCC. As the cost of living keeps rising, the need for free meals has never been greater. Volunteers prepare and serve the food for an average of 20-30 guests, then do the dishes afterwards and leave happy. Other annual missions include Missionary Sunday and Shoebox Santa. Ongoing missions include our Thrift Shop, which offers low-cost alternatives to the community; and various missions sponsored and supported by the United Methodist Women. 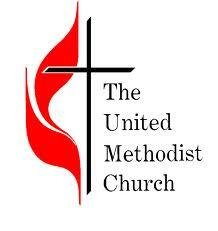 The Sayville United Methodist Church has always stepped up to support the United Methodist Committee on Relief (UMCOR) during times of global catastrophe. When tornados hit Joplin, MO, our Love Offering was sent to a local restaurant that fed the homeless and volunteer workers; after the devastating Tropical Storm Irene hit upstate Prattsville, NY and nearly wiped out their UM church and parsonage, we sent our Love Offering directly to the church for immediate repair work. We are constantly striving to direct our help where needed. The 1972 General Conference established Human Relations Day to promote support for Community Developers, United Methodist Voluntary Services and Police-Community Relations programs. In 1989, the Youth Offender Rehabilitation Program replaced the Police-Community Relations Program. More than 30 church-based Community Developers work in racial- and ethnic-minority communities in the United States and Puerto Rico (57 percent of the offering). A multiracial network of grassroots social-justice organizations related to United Methodist Voluntary Services provides vital outreach (33 percent). Christ-centered Youth Offender Rehabilitation projects give teenagers a chance to succeed (10 percent. In 1946, One Great Hour of Sharing began as a special effort of the Episcopal Church. In 1949, the observance became ecumenical. Originally, congregations reserved one special worship hour during the year for people of faith to contribute over and above their regular offerings. Today different denominations celebrate UMCOR Sunday on various dates, but the cooperative spirit remains. The 1980 General Conference created a churchwide Peace with Justice program assigned to the General Board of Church and Society. The 1984 General Conference voted to support the program with an annual Special Sunday offering on World Order Sunday, established more than half a century ago to build recognition and support for the work of the United Nations. While World Order Sunday was set traditionally in October, churches were encouraged to observe it any time during the season of Pentecost. The 1988 General Conference established Peace with Justice Sunday as the first Sunday after Pentecost to give churches a single, more convenient date for the offering and a name that clearly identifies the ministries it supports. In 1866, a special fund was established for the advanced education of Sunday-school children and the educational preparation of persons for the ministry and missionary service. The 1940 General Conference established Methodist Student Day with a churchwide offering. The 1968 Uniting Conference continued this connectional student-aid program to be funded by the United Methodist Student Day offering. Dates for taking the offering have changed through the years. Support our Good Samaritan Fund! This is a fund maintained by the Pastor for the aid of those in need. Remember the less fortunate!